The leadership watchlist is a weekly curated list of top-performing stock market leaders. Stocks make this list by passing a strict set of technical criteria focusing on top relative strength, trend, and above average sales or EPS growth. 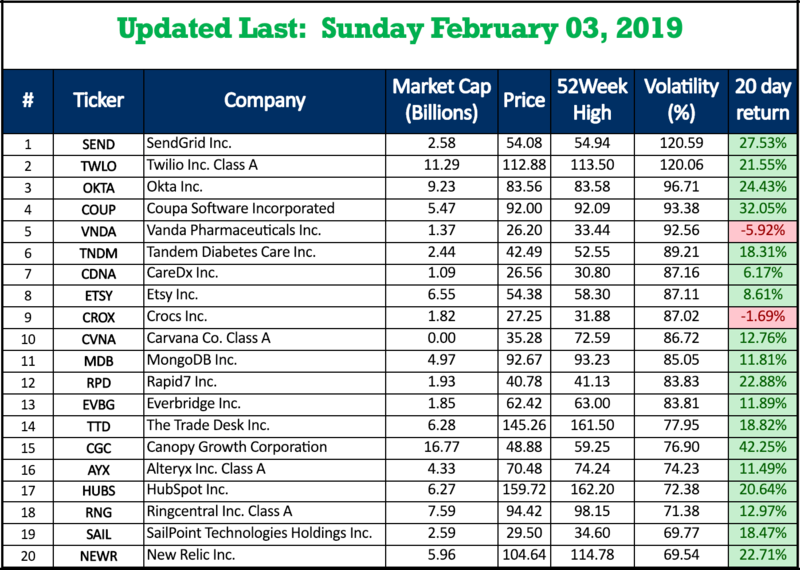 The leadership watchlist aims to identify stocks that have been consistently pushing the major averages higher and holding up best in the face of market volatility. The names on this list are designed to be long term persistent performers for months and years to come. Each weekend the scans are run in search for new candidates and to remove existing stocks that no longer fit the demanding criteria from above. On average, there are 50 to 100 names on this list at any given time, largely influenced by the health of the overall market. Purchase includes lifetime access to the watchlist. Every Sunday the list is refreshed and ready to go for the week ahead. The watchlist is available 24/7 on The Trade Risk and the names can easily be highlighted, copied, and pasted into your own TC2000, broker, Microsoft Excel, etc. Bonus: A shorter “actionable” list of breakout levels to watch for are also curated on a weekly basis. The Leadership Watchlist is included free with our premium swing trade alert memberships. 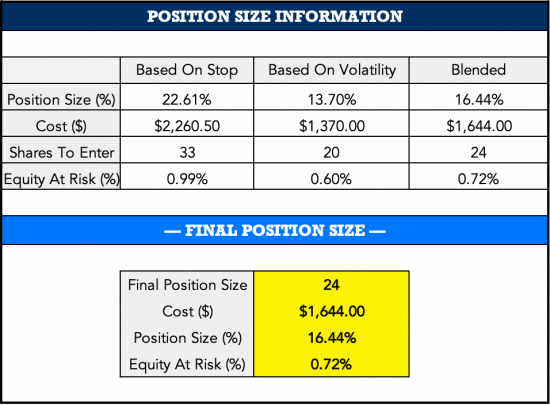 The position size calculator is an absolute time saver and a must-have resource for all swing and position traders. The goal is to leave you with a meaningful yet responsible amount of exposure in your trades so that you can sleep easy at night. Learn more.